In response to the Call for Panelists: GenLaw Study Group 1, we've had generous responses from folks willing to serve in this capacity. 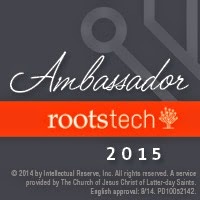 They've agreed to equipment standards and guides for participation, and will become well-known to us in the genealogy community as pioneers in online education. 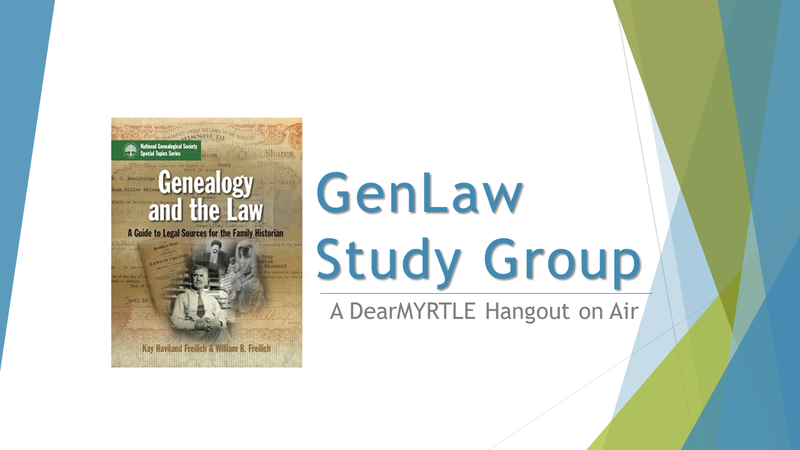 This GenLaw Study Group begins Friday, 23 Jan 2015 and is the first of it's kind. Bravo! Ol' Myrt, the opinionated moderator. Each panelist has been invited to our private "panelists only" area, where we can accomplish behind-the scenes tasks. That is where the private link to join the filmstrip panel will be posted. WHEN ARE STUDY GROUP SESSIONS TO BE HELD? All chapter reading and homework is to be done before the session, so we can discuss which portions are most intriguing or challenging. Congratulations to our new panelists. I look forward to working with you during the coming 8 sessions of GenLaw1.